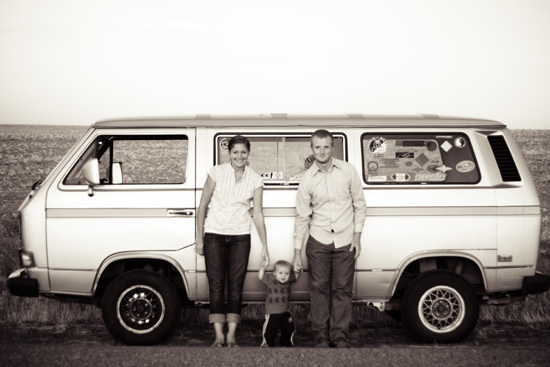 Believe it or not, we use to own a Volkswagen Vanagon similar to this one...only it was from the early 80's. My husbands parent's purchased it when he was only 2 years old and he was somehow lucky enough to become it's owner. We had some fun times with that van, including multiple 12+ hr road trips sometimes in 90 degree weather with no AC but plenty of great tunes. In high school (yes we have known each other for a long time) our group of friends would pile themselves in the back and cruise the town...just for fun. At one point, while we were dating, I remember talking with my husband (boyfriend at the time) about the van and what would happen to it if it ever died. We decided that we would keep it forever, and even thought about adding it on as an extension to our future home. Sadly enough, about this time last year, we decided it was time to part with it...only because we kept having to put way too much money into it to keep it running. So we thought we might as well sell it and make a little extra cash while we still could. This photo was taken on our last trip out...we will never forget it! Ours is still sitting in our driveway! We havent driven it in over a year but I don't have the heart to get ride of it yet. It was also bought when Ty was just a kid. Maybe we'll hit it big sometime soon and can fix it up (or probably not). Love that picture of you guys! I remember the "pickle" well. It brings back good memories. RIP Pickle. I miss you everyday. What an amazingly cool VW! I'm sorry that you had to part with it, but at least you will always have the wonderful memories and that amazing last picture! That is definitely a framer. :) So happy to find your blog! Awww what an awesome first car! Beautiful photograph of your family. 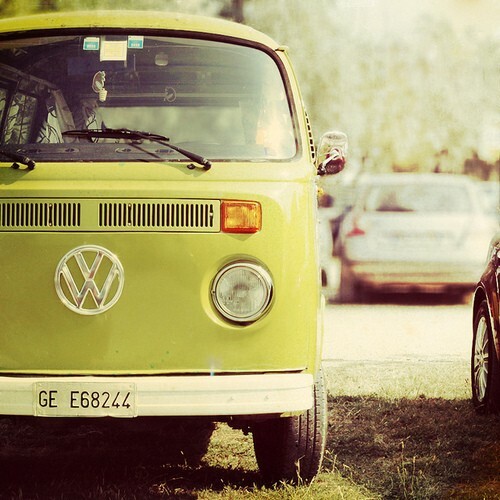 I'd love to own a VW bus, but it I do realize it is a great commitment to keep it "healthy". It's great you have some lasting memories with it.